June is one of our favourite months in Cornwall – the days are long and warm, wild flowers adorn the hedgerows, and our favourite places are still quieter than they are in July and August. Whether you’re looking for a laid back beach trip, a coastal walking holiday or a romantic escape for two, we doubt you’ll need persuading… but here are our top five reasons to visit Cornwall in June. Bring your flip flops and sun cream! With the longest day on the 21st, there are plenty of sunshine hours to be had and whilst we can’t guarantee the good weather, if the last few years are anything to go by it’ll be one of the warmest and sunniest months of the year. The sea is warming up too, so it’s a great time to try surfing, kayaking, stand-up paddle boarding or one of the many superb water sports Cornwall has to offer. In the height of summer Cornwall is abuzz with families and visitors. It makes for an exciting atmosphere but if you prefer the quieter things in life, June is the perfect time to visit. Wander sweeping empty beaches, explore fishing villages and historic towns, and take things at your own pace. It’s a dog walker’s paradise, so why not bring your furry friend? 3. There’s a lot to do! Despite many beaches and towns being fairly quiet, there are still plenty of entertaining events happening throughout the month. The International Sea Shanty Festival (Falmouth), Golowan Festival (Penzance), and Falmouth Classics are some of our favourites for a taste of Cornish culture. From spring to early summer the county is bursting with wild flora and fauna. Walk the green coast paths and cliffs mottled with sea-pinks and colourful blooms that pop against the azure blue seas, or explore one of Cornwall’s many glorious sub-tropical gardens. With Father’s Day on Sunday 18th, why not give your dad the ultimate treat with a Cornish getaway? 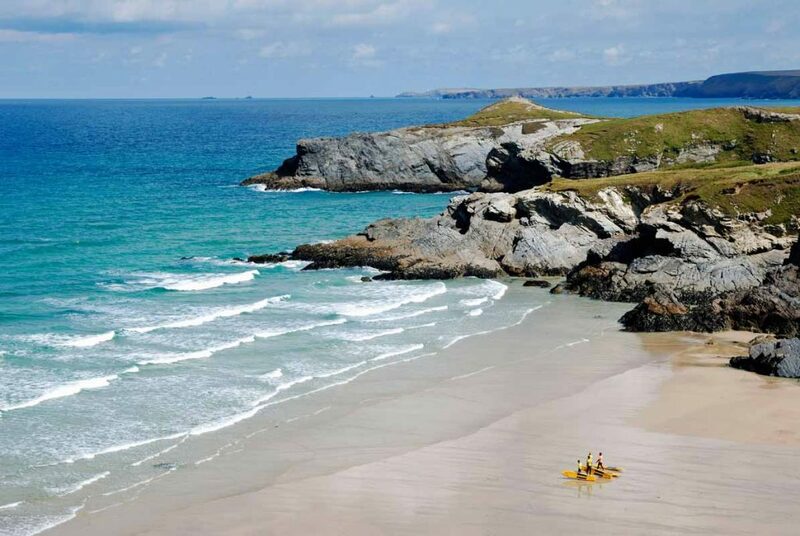 Whether he’s an outdoor pursuits enthusiast, a history buff, a food and drink connoisseur, or he simply needs a rest to read a book or watch the world go by, Cornwall has something for everyone.